There are 13,000 taxis plying their trade each day in New York City, yet people with disabilities have no “meaningful access” to them: Only around 230 cabs, or 2%, are accessible to people using wheelchairs. So when a U.S. judge ruled in December that the city would need to come up with a way to introduce more accessible vehicles, Mayor Bloomberg and the New York City Taxi and Limousine Commission thunk one up. They proposed issuing 6,000 new medallions over 10 years, of which 2,000 would be reserved for wheelchair-accessible yellow cabs. But many city officials think this plan won’t work. In today’s New York Times, former New York City Taxi and Limousine Commission chairman Matthew Daus tried to make the argument that wheelchair-accessible cabs take up too much space on city streets, would cause insurance premiums to rise, and people with disabilities wouldn’t even bother to use them because they’d rather get picked up at home. Huh? Daus says people with disabilities would rather use the Metropolitan Transportation Authority’s para-transit transportation program that shuttles disabled passengers, often several at once, on pre-scheduled routes. In other words: Call three days in advance, let the M.T.A. know where exactly you’re going, and share the seat with a half-dozen other bodies. He suggests converting the current M.T.A. program into a “separate but equal” system where a disabled person calls a special number and a cab is dispatched to their house for less than the cost of a subway ride ($2.25). Many things are missing from Mr. Daus’ argument, starting with user experience, which directly relates to equal access. The whole point of hailing a cab is to not have to worry about time, location and traffic. You simply go outside when you are ready, hold up your hand (or leg), and hail a cab to the curb. Daus says this luxury shouldn’t apply to people with disabilities, even those who can afford to pay for it. As a side note, does anyone really think the current M.T.A., with its budget cuts, rising costs, union issues and whatnot, can pull off such an elaborate scheme to pick up any one of the 60,000 wheelchair users in New York City at the drop of a hat? That’s why adding accessible cabs to the fleet is crucial. And what’s more, is that accessible cabs are more spacious, which is better for larger-sized people, people with lots of shopping bags, families with strollers, and others. The plan will bring the city $1 billion in new medallion revenue, and push it closer into the small elite circle of accessible cities like Seattle and Denver. Accessibility wasn’t one of the prerequisites for submission, and the city ultimately chose a non-accessible fleet of cabs from Nissan, the NV-200. That was a mistake. The city’s choice prompted disability organizations to cry foul, and ignored a whole new industry of factory-built accessible cars, such as the Vehicle Production Group’s MV-1 — the first and only vehicle designed and built from scratch specifically for wheelchair users. The MV-1, which costs $40,000 and can be found (sparsely) in New York City today, is set to be replaced by the Taxi of Tomorrow by 2018. 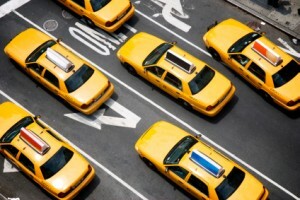 New York should have chosen a taxi that would have really taken the Big Apple into “tomorrow,” with a fleet of accessible, superbly designed yellow cabs that can get anyone — despite their disability — where they want to go. Whether that be home, work, or Times Square in 10 minutes flat, for a C-note, perhaps to the tune of some hip Indian music. Don’t we all deserve that? Never knew this about the lack of wheelchain accessible taxis. Something has to be done. Many wheelchairs won’t fit into the trunk of a taxi and they weigh 150 to 300 pounds. Even with a light wheelchair, many people cannot safely transfer to a cab. That’s why we need accessible cabs. I find this very ironic indeed with the “taxi of tomorrow” program – where they don’t consider people with disabilities that make the largest minority for their future services..
we should provide convinience to the disability,though….